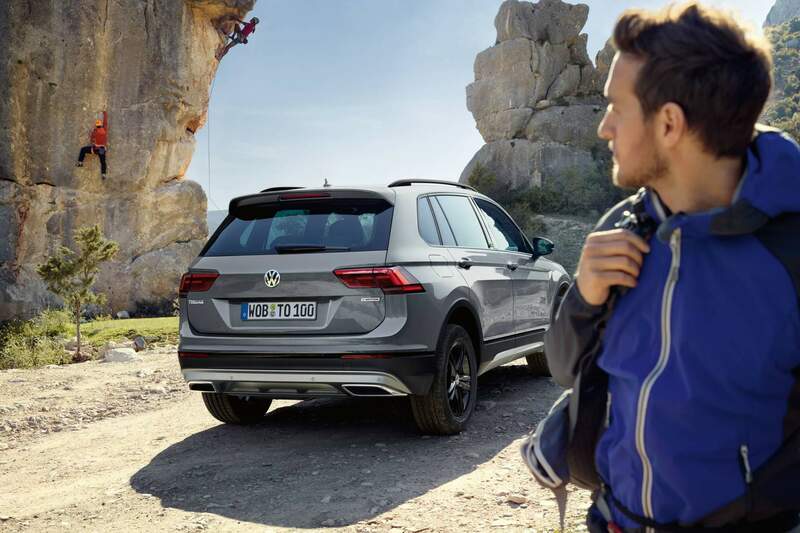 For all its all-round capability, the VW Tiguan is not the first model that comes to mind when some off-roading needs to be done. 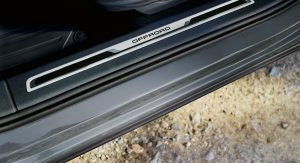 That may be about to change, however, as VW is unveiling the Tiguan Offroad at the Moscow Auto Show today. 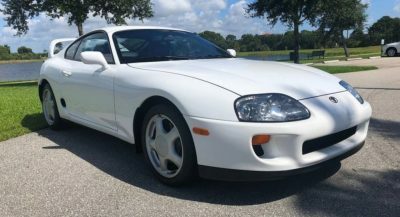 The name is self-explanatory, and the good thing is the updates go beyond changing the car’s name. 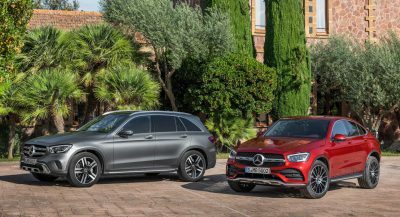 As the official photos reveal, the new version boasts off-road bumpers, with the result being an increased approach angle of 26 degrees. 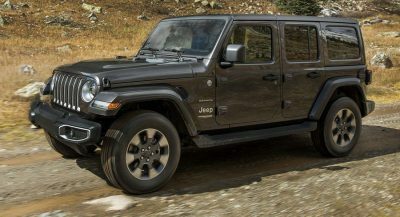 Other standard exterior features include a set of 17-inch Tulsa alloy wheels, an R-Line roof spoiler, black painted side mirrors, and LED rear taillights. The adaptive LED headlights are optional. There are four exterior colors to choose from, and the roof can be painted black should the customer want that. There’s also the option of 18-inch black Sebring alloys. 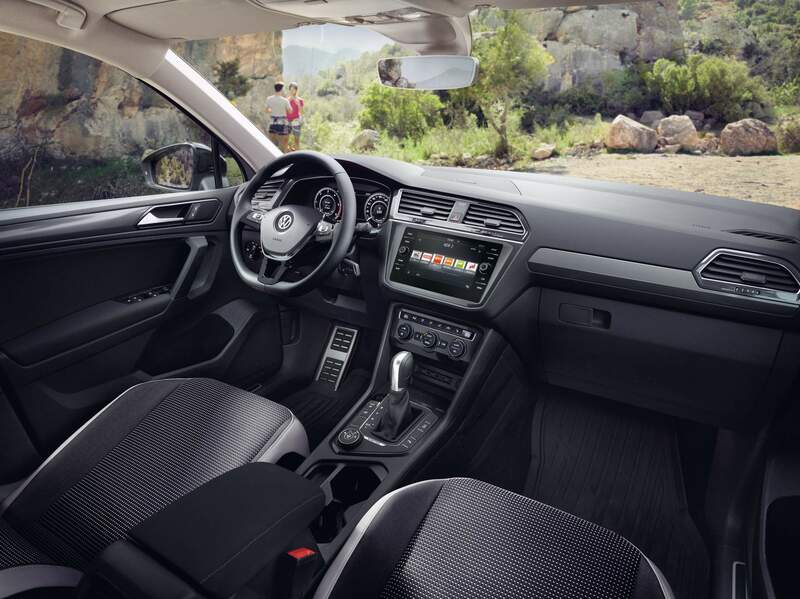 Inside, the Tiguan Offroad offers materials more resistant to wear and tear, including a combination of fabric and synthetic fiber, rubber mats with the “Offroad” logo (also found on the door sills), and aluminum pedal pads. 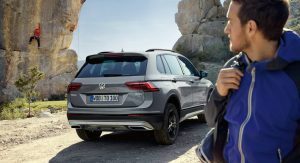 The rugged version of the Tiguan can be had with one of three available engines: a 150-PS (148-hp) 1.4 TSI gasoline unit mated to a six-speed manual or six-speed DSG automatic transmission, a 180-PS (178-hp) 2.0 TSI gasoline engine linked to a seven-speed DSG gearbox, and a 150-PS (148-hp) 2.0 TDI diesel unit mated to the same seven-speed DSG automatic. All Tiguan Offroad models are equipped with a standard 4Motion AWD system. Standard equipment is quite generous and includes the Active Info Display digital instrument panel, Composition Media infotainment system with an 8-inch touchscreen display and Apple CarPlay, Android Auto, and Mirrorlink compatibility, a rear-view camera, front and rear parking sensors, power tailgate, and power folding mirrors. 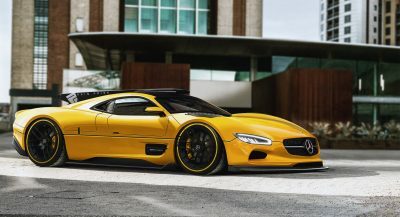 The Innovation Package comes as an option, unlocking features such as ACC Stop & Go, adaptive LED headlights, keyless access and startup system, and Park Assist semi-automatic parking system. 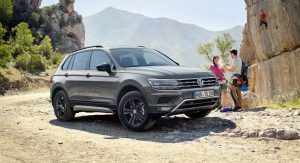 The VW Tiguan Offroad will be built alongside regular Tiguan models at the Volkswagen Group Rus plant in Kaluga, Russia, and will go on sale on October 1. 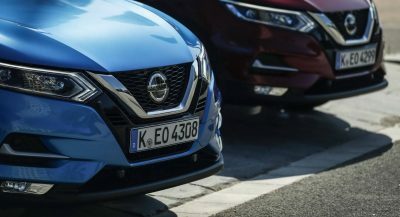 We don’t know whether VW will make it available in other European markets as well, but given that the press photos show a car with German plates, chances are that it might.